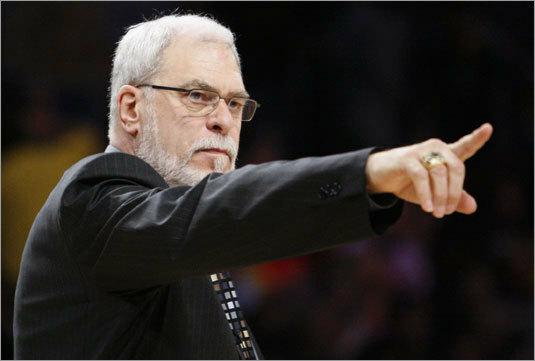 Phil Jackson knows how to win. And he knows how to get everything he needs out of every player. From the superstars to the guys who see 90 seconds of court a night. He is as good a people person as you will ever see on any NBA bench. His temperament is cool when it needs to be cool. And bold and blustery when it needs to be. But, with the Zen Master, bold and blustery is not very often. Jackson’s NBA playing career with the New York Knicks was statistically unremarkable. But Jackson was a part of two Knicks’ NBA World Championship teams. He wasn’t a starter, but an excellent defender off the bench. And his head coach in New York was the legendary Red Holzman. Jackson learned under one of the greats. Edmonton Oilers’ coach Glen Sather once told me he learned more in one season playing for Scotty Bowman in Montreal than he did from all his other head coaches combined. Same goes for Jackson. He learned how to coach personalities from Holzman. Red led the Knicks to titles in 1970 and ’73 and knew how to deal with star players. Those Knicks had Bill Bradley and Dave DeBusschere and Walt Frazier and Willis Reed and Earl “The Pearl” Monroe. Some of the most creative playing minds the game has ever seen. And that experience was invaluable to Jackson when he took over the star-studded Chicago Bulls as their head coach in 1989. And, if you don’t believe Jackson had to actually coach those guys in Chicago, 1989-90 was Michael Jordan’s sixth NBA season. Sixth! Jordan had won exactly nothing before Jackson arrived on the scene. 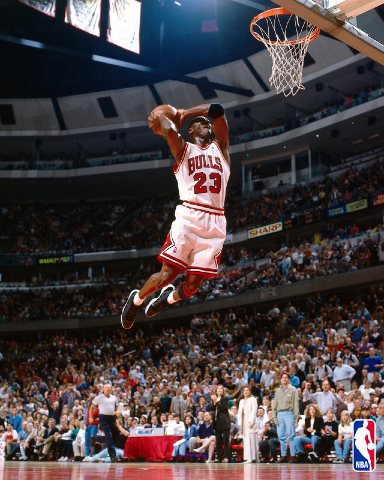 Phil made six-time champions out of the Bulls and Jordan and Scottie Pippen and Bill Cartwright and Horace Grant. And that’s part two of the big equation: Right place, right time. Then, Jackson did it again. After nine seasons in the Madhouse on Madison (and a 545-193 record – think about that for a second), the then-52-year old Jackson retired from coaching. Lakers’ owner, Dr. Jerry Buss, convinced him to return to the bench, with L.A., in 1999. Jackson took budding star Kobe Bryant (whom Jackson would later refer to as “uncoachable”) and Shaquille O’Neal and Glen Rice and A.C. Green and won his seventh championship – with an entirely different group of stars. Think of the personalities. Think of the ego. Think how much they wanted the ball. And that’s just Kobe! Jackson dealt with all that – and won. Jackson won three straight titles to kick off his run in La-La Land, then won another in 2009. Jackson’s ten championships as a head coach are unmatched in the history of the Association. And, unless Celtics’ coach Doc Rivers can spin gold out of straw, Jackson will win his eleventh in 2010. Watch how Jackson conducts himself on the bench. Watch how in-control he is. Watch him during time-outs. It’s why he’s the best there has ever been in the NBA. Cool! 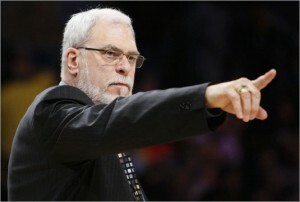 I didn’t know anything about Phil Jackson before I read this article. Nice job. Excellent article. Phil does it in a sublime way, other then the odd well placed comment in the press or in a book as it were he is an amazing motivator. He makes it look easy. Amazing! Incredible championship! 2010 was one of the best NBA Championships in modern memory. Go Lakers! Lakers deserved to win this year, hands down. and not cause I’m a big fan of Bryant They were the best.